If you recently applied for a USAA Credit Card and were not automatically approved, you can find out more about your application status by contacting USAA via phone or by visiting and logging into the USAA website. Either way, you should receive notification of the credit decision via mail within 5 to 7 business days. Today, the credit card application process is increasingly efficient, and consumers can frequently apply for a credit card and receive instant notification of approval or denial. However, sometimes that’s not the case, and applicants are forced to wait for further communication from the credit card company. Though the absence of an instant approval may seem like a sure path to denial, that’s not always the case. There are a variety of reasons why an application may need further review, including but not limited to incomplete or missing information or the number of credit inquiries you’ve had in a specific period of time. If you recently applied for a USAA credit card and are waiting for a decision, this step-by-step guide can help you determine the status of your application. If you’ve submitted a USAA Credit Card application and want to check on the current status, you can do so two ways: by phone or by signing into your USAA account online. Call the USAA Credit Card and Banking Department at 1.800.531.8722. Enter your USAA number or social security number and follow the prompts to speak to a representative. Once you’ve reached a representative, simply inquire about your credit card status. Visit www.usaa.com and click “Log On,” which is located on the upper left-hand side of the screen. Any correspondence regarding your credit card application should appear in your USAA inbox. Keep in mind that all USAA credit card decisions are also communicated to the customer by mail within five to seven business days. If approved, you will receive information about your new card, including rates and limits. If denied, you will receive a letter alerting you to the reasons for that decision. Applying for a credit card can bring you immediate access to credit, but in some cases, it can leave you anxiously awaiting a decision. Just because you weren’t immediately approved for your USAA credit card doesn’t mean you were automatically denied. To find out more about the status of your application, you can contact USAA by phone, log into your USAA member’s account, or wait five to seven business days for a formal letter. 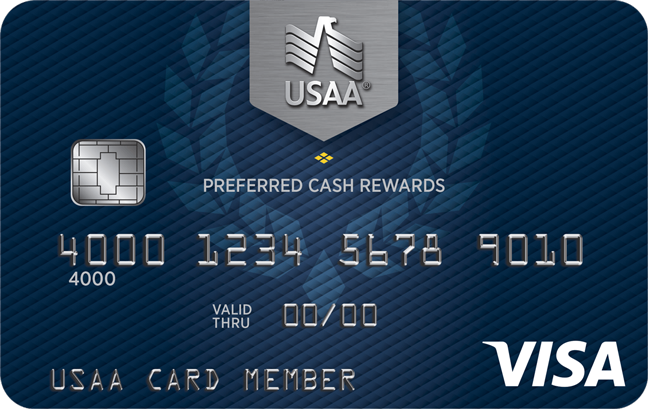 If you were denied for a USAA credit card and would like to compare additional options, you can view our Best Credit Cards page. Be sure to refrain from applying for too many credit cards in a short period of time. >> Read More: How Long Should I Wait to Apply for Another Credit Card? Jennifer Lobb is a graduate of the University of Denver and a freelance writer with several years of experience writing for both personal and small business finance sites. In addition, she has also spent well over a decade as a content marketing professional and continues to follow and write about emerging trends in that field.